Many people are familiar with the pain of foot cramps, but what exactly are foot cramps and, more importantly, how can they be prevented? 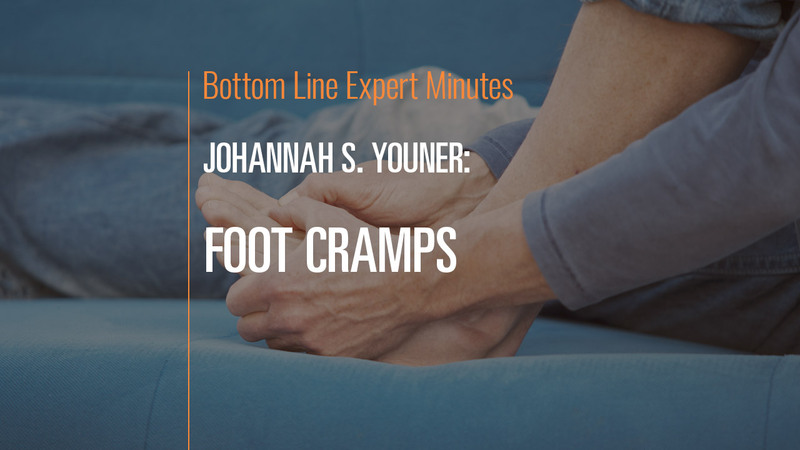 In this video, Dr. Johanna Youner, board-certified podiatric surgeon and a Fellow of the American College of Foot and Ankle Surgeons, explains that such cramps are sudden contractions of the foot muscles due to age, dehydration, certain medications or ill-fitting shoes. The root cause of the cramps needs to be addressed. In the case of high heels or ill-fitting shoes, massaging the feet can improve circulation as can wearing more comfortable shoes. You can prevent foot cramps caused by medications such as diuretics, blood pressure medicines and diet teas by staying fuly hydrated. Also, taking calcium, magnesium and quinine can prevent foor cramps caused by dehydration and mineral imbalances.